With 43,945 sandwich shops in 110 countries, Subway has become the world’s most ubiquitous restaurant chain, posting armies of “sandwich artists” in more U.S. outposts than McDonald’s and Starbucks combined.Yet at the dawn of its 50th birthday, all is not well in the land of Jared and jingles about $5 footlongs. Subway’s U.S. sales last year declined 3 per cent, or $400 million, falling faster than any other of America’s top 25 food chains. The mega-deli was also knocked back to its home country’s third best-selling food chain for the first time in seven years.Subway ascended over the last several decades on the back of broad tastes, offering a healthy alternative for eaters leery of fast food, and at prices that made it unstoppable during the Great Recession.But the chain’s fast-rising rivals, such as Chipotle Mexican Grill, are beating Subway at the game it helped create, offering seemingly fresher, healthier, build-your-own meals. It’s fascinating to see Chipotle, and companies like it, kill Subway using their own technique. I remember seeing several Subways recently, and just walking by. And reading this article on Subway’s decline made me realize what it was: Subway’s entire concept was ‘fresh with options’, and now they are like the McDonald’s of fresh food compared to their competitors. Virtually every option out there is more custom, more fresh, and more lively in their presentation and branding. 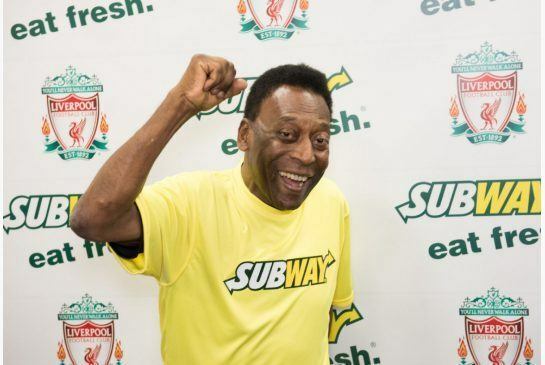 The Subway marketing is stale and in need of a complete overhaul if they wish to remain a market force. What fascinates me is how you can blink and have this happen to you, even as a billion dollar player. I feel like Google could be close to this type of Blackberry Event, where one day you’re looking down your nose at your bank account, and the next day you’re being talked about as an event in the past. The lesson is that when someone says it can happen to you, you really must listen. No matter how powerful you are at any given moment, it can change.